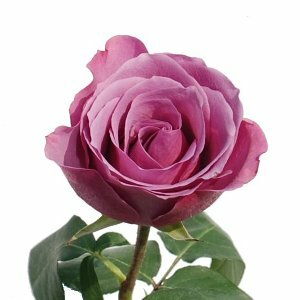 A fresh dark lavender rose, Mystery Dark Lavender Purple Rose has light lavender inner petals contrasted against dark lavender outer petals with slight pink hues. It opens into a stunning cup-shaped bloom with gentle borders. This dark lavender rose leaning to purple would accentuate to a wedding bouquet, table centerpiece or flower arrangement. If you event is Saturday suggested delivery day is Wednesday. This flower features one focal bloom per stem. Lavender roses tend to pop open - bloom quickly. This does not mean that it is going to die quickly, it is just a trait of the variety. This rose has dark lavender petals leaning towards purple with possible pink undertones. The amount and intensity of each tone may vary depending on Mother Nature. Within each bunch, the roses are packed in two layers to ensure protection during shipping. From the top angle, it will appear you only have 12 stems in the bunch; however, below this layer there is a second layer containing the remaining 13 roses. Roses are shipped in special packaging that may or may not include water boxes, water tubes, or wet foam. No matter the packaging, your roses have been properly prepared for shipping. We ship our roses is bud form. Once the rose is hydrated, the bloom will open to a much larger size. Expected vase life is an average minimum of 5 to 8 days with proper care and handling. Lavender and/or purple is a tricky color with natural roses. Many of our rose varieties will change tones and depending on the weather, lavender roses can show lots of pink hues especially when combined with blue undertones. If you combine lavender roses with white/cream or lighter tones, the purple tones will be more dominant. 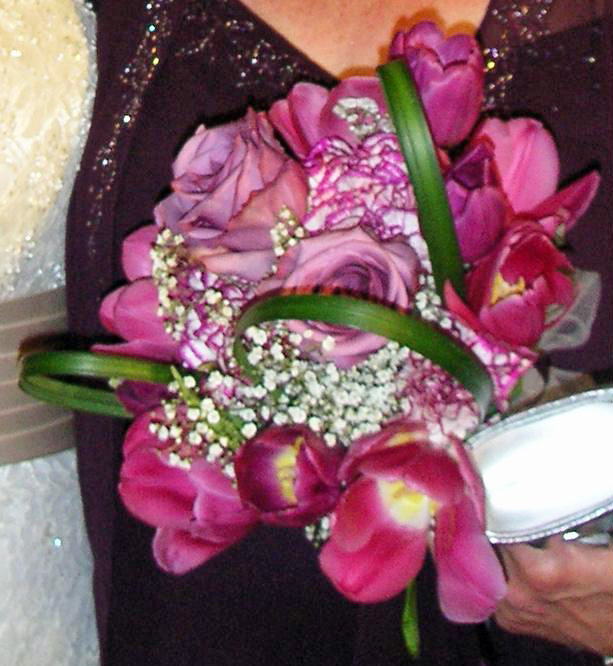 To achieve a true lavender or purple color, we suggest that you spray your flowers lightly by using floral spray paint.